Whitman Smith, director of admissions at Ole Miss, is retiring from the university. Smith, whose position has already been placed on the university’s career website, has been with the university for nearly three decades. Smith started in the admissions office in 1990, beginning as a regional admissions counselor and serving as director of admissions since July 2013. 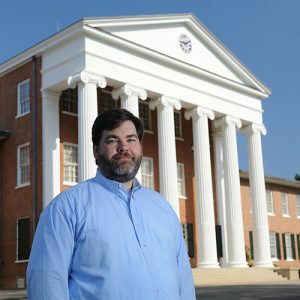 Ole Miss Director of Admissions Whitman Smith will be retiring from the university after a decrease in enrollment over the past two years. Photo Courtesy Ole Miss Communications. Smith’s retirement comes after the university has experienced an overall decrease in enrollment for two consecutive years, which followed a national trend in decreased college enrollment. There were 23,780 students enrolled at the university during fall 2017, compared to 23,258 in fall 2018 — a decrease of 2.2 percent, or 522 students. The decline of 1.9 percent from fall 2016 to fall 2017 was the first decline in University of Mississippi enrollment in more than 20 years. Despite the decreased enrollment the past two years, the university reached the highest enrollment of 24,250 students in its history in 2016 under Smith. Smith said the decline in enrollment wasn’t a factor in his retirement, and the enrollment would more than likely pick back up in a few years. Smith’s retirement also comes after Jeffrey Vitter resigned as chancellor in January and Melinda Sutton Noss, the university’s dean of students, announced she would be leaving the university at the end of the academic year.